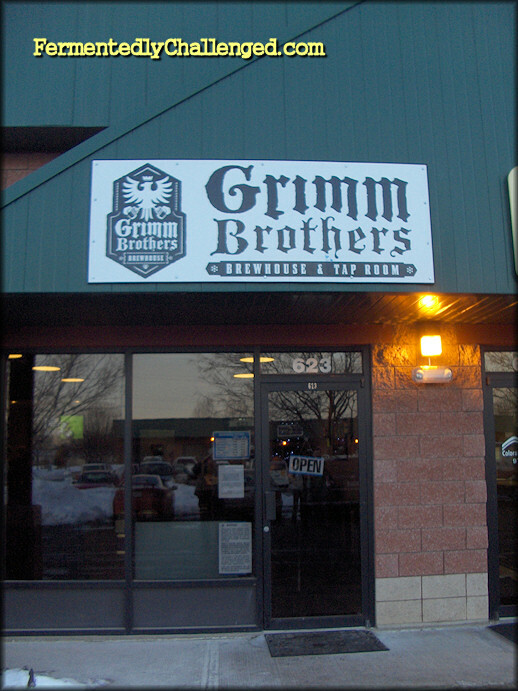 No time spent in Loveland is complete without a visit to Grimm Brothers Brewhouse, especially now that they've opened up their new expanded tap room. Finding this place wasn't too hard, although the first brewery sign we saw that day was the old entrance to their main brewery. The sign on the door pointed across the complex to another building where their new tap room was located. 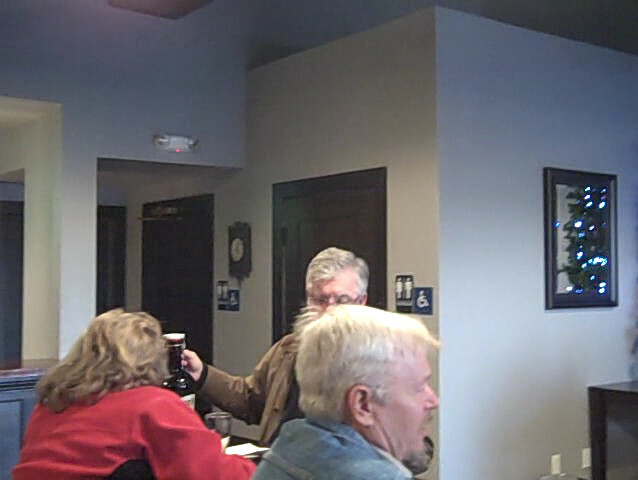 It was just a short 2 minute walk from one door to the other and we were greeted to a nearly full capacity of faithful drinkers when we arrived. 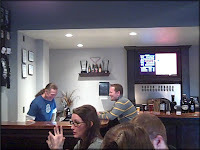 Grimm Brothers Brewhouse and Tap Room was very busy for a Tuesday afternoon. 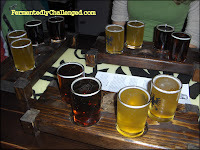 There was a short line up at the taps to get brews, but it didn't take long for us to get 3 sample trays and take a seat. 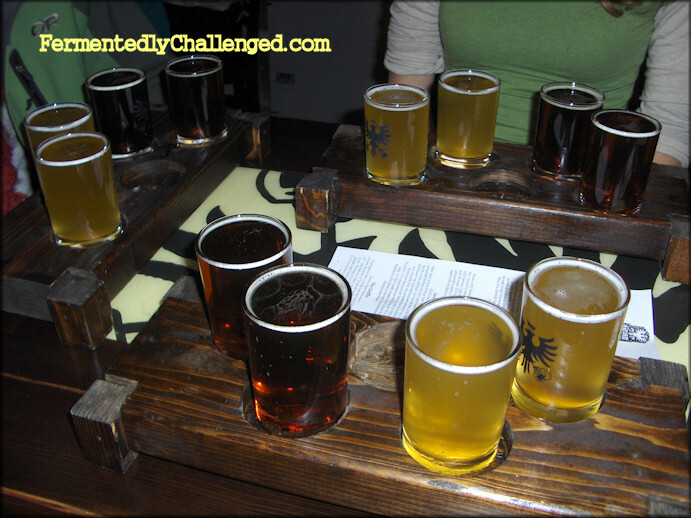 Normally, their sampler has 5 beers, but they were fresh out of their Porter, so we sat down with 4 different beers. Luckily, other people were kind enough to share a table with our party of 3. Grimm Brothers samplers are 4 ounces each and come in nice logo'ed glassware. The room itself was brand spanking new with freshly painted walls, a huge walk-up bar with a fancy huge flat-screen animated menu board and a nice t-shirt selection next to the cashier. There were a lot of tables here, nearly every one were full. This was indeed a popular place that day. Here are some brief notes on each beer starting from their lightest colored to their darkest colored. 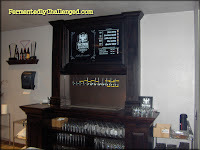 Beers are ranked from one star (*) lowest to 5 stars (*****) highest. My group took a vote and we named the Brett Aged Bock, The Griffin and Little Red Cap the best of the bunch. There were a couple other specialty brews on tap that day but we couldn't stick around to sample all of them. One other thing of note - I just love the artwork they did for their brews. Whoever was their artist really did an outstanding job on the designs. You can see of of them in the video below. 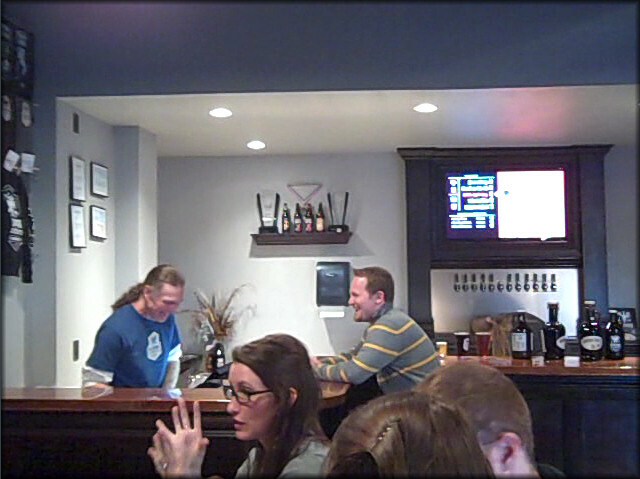 After attending Big Beaver Brewing and Grimm Brothers back to back, we thought it had been a most enjoyable day. I will definitely had back to Grimm Brothers again very soon now that I've sampled their wares. I can see why this place was so popular. If you can't view this view via RSS or email please visit the blog. 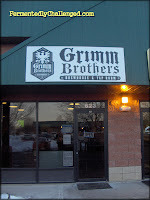 - Grimm's Griffin debuts at the Backbone. 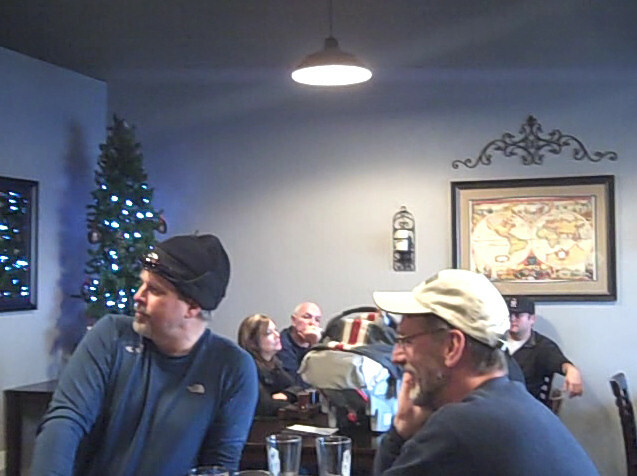 - A visit to Big Beaver Brewing Company in Loveland.